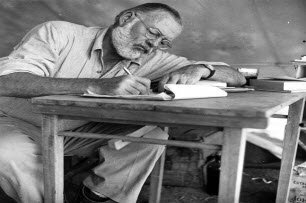 If you think about the Key West Literary Seminar (or even Key West on its own), it won’t be long until the name of Ernest Hemmingway pops into your mind. He is quite a famous geezer after all. But did you know that since the 1920’s when Ernest first set foot on the island, this small group of Islands at the tip of mainland USA, namely the Florida Keys has been somewhat of a mecca to writers and those folks that can turn a good phrase or two. Although our old resident Ernest H, maybe just about the most famous of the writers that have called Key West their home, Key West is rumoured to have more live in writers than any other city in America. It’s not hard to see that you could get a good idea or two for a story, as you walk around the vibrant streets that make up this island paradise. So it was no surprise when in 1983 the doors were first opened, and the Key West Literary seminar began its life celebrating the magic of the written word. It also doubles up as a great support of American writers, as for every Grisham or Stephen King that is pounding the keys of their laptops (or typewriters) there are many more that are struggling to be discovered. 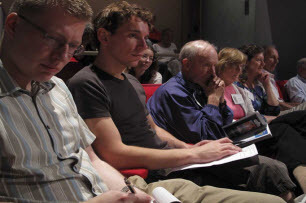 Every January the seminar looks at a different literary themes, and will hold lectures, presentations, readings or simply a place for people to sit and discuss writers and their works. Even though the Key West seminar is intimate, people will travel across the globe to get involved. And of course whilst they are here it’s a good opportunity to catch a few hours of sunshine, whilst it is freezing elsewhere. That can’t be bad either! If you want to attend then call for information or to reguster, but make sure you get in early. These events get sold out really early, sometimes even a year ahead of the event occurring.